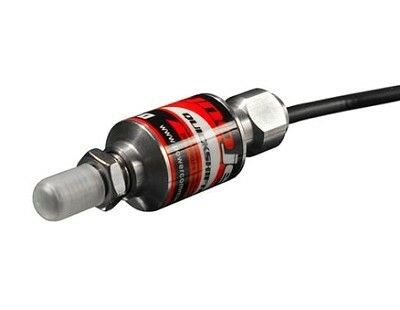 The Online Shop for Dynojet Dynojet Quick-Shifter. Normally during "up shifting" you must roll off of the throttle and pull in the clutch in order to engage the next higher gear. In racing (both drag and road race), split seconds count. Rolling off the throttle, even slightly, slows your times and can be the difference between winning and losing. The Dynojet Quick Shifter (DQS) allows full throttle, clutch less shifting. This is done by momentarily cutting the fuel and or ignition, which unloads the transmission. During this time, the rider can shift up to the next gear without rolling off the throttle or using the clutch. The Power Commander incorporates all of the Quick Shifter functionality in with the main fuel controller and is fully programmable. No cutting or splicing of your bike's wiring harness is necessary. For using the Quick Shifter you need the shift rod(s) Typ B. » More information about frequently asked questions, please see our Quick Shifter Sensor-FAQ. « back to overview "Suzuki Quick Shifter Sensor"